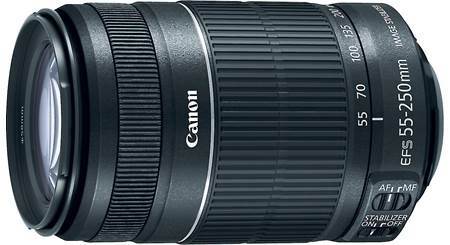 Fans of telephoto shooting will appreciate the high quality and extensive zoom power of this Canon EF lens. 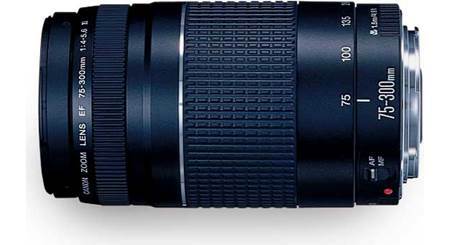 Fans of telephoto shooting will appreciate the high quality and extensive zoom power of this Canon EF lens. It may be less advanced than other lenses in the EF line, but when it's paired with a compatible EOS camera it still gives you the crisp photos that Canon users have come to expect. Zero in on far-off objects — a bald eagle perched atop a distant tree, your favorite movie star shaking hands on the red carpet, you name it — for detailed shots with an up-close feel. And shooting just five feet from a subject, you can fill the frame with an object as small as a dollar bill. This kind of telephoto ability is an important part of any aspiring photographer's bag of tricks. Works great with my Canon T5i. 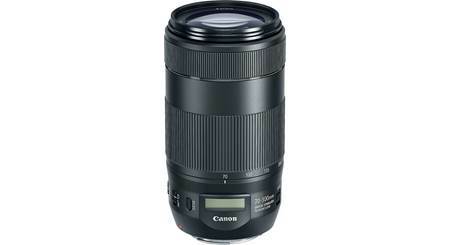 Product Overview: The Canon EF 75-300mm f/4-5.6 III lens is a telephoto zoom lens compatible with Canon EOS SLR cameras. Auto/Manual Focus: To shoot in Autofocus mode, set the focus mode switch on the lens to "AF". To manually focus the camera, set the switch to "MF", and focus by turning the focusing ring. Aperture: The aperture is set with the camera's electronic input dial. The aperture will change according to the focal length. However, special operation is not required since the camera automatically reads the aperture change. Optional Accessories (available from Canon): Compatible optional accessories include: LP1019 Lens case, ET-60 hood, and screw-in filters (58mm). Warranty Terms: Canon offers a 1-year parts and labor warranty on this lens. 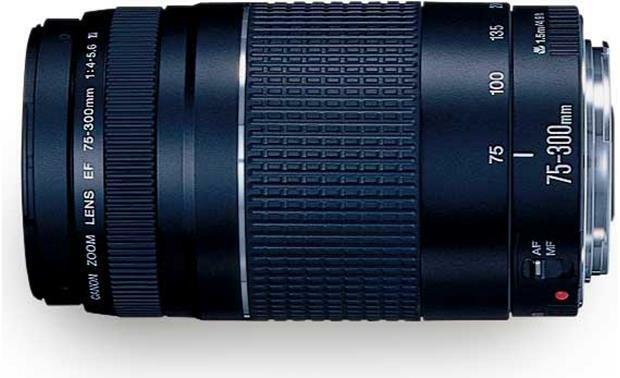 Searches related to the Canon EF 75-300mm f/4-5.6 III Telephoto zoom lens for Canon EOS SLR cameras.